« Can we trust tour reviews on TripAdvisor? great selection of tourist information links from various online sources I have put together for you. Wiltshire, England – a county of contrasts and diversity. Steeped in history, yet alive to the present – Wiltshire repays the time you spend here with interest. Explore lively market towns, rolling open scenery, stately homes and magnificent gardens plus experiencing the bustling city culture of Swindon and Salisbury. VisitWiltshire offers a great range of quality assured accommodation with splendid Wiltshire hotels, friendly B&Bs, self-catering cottages, camping and caravan sites. 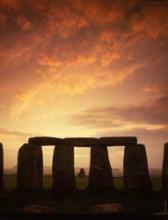 There are attractions galore – including iconic Stonehenge, and Avebury. Famous sites such Salisbury Cathedral, Longleat,Wiltshire’s White Horses, Stourhead, and the Kennet & Avon Canal combine with lesser known gems such as Lacock and STEAM. Here you’ll find interestingly different local shops, quaint tea rooms, gastro pubs, restaurants and events throughout the year. Whether it’s indoors or outdoors, in front of a roaring fire, walking or cycling, Wiltshire is waiting to welcome you, . . again, and again. Wiltshire is a beautiful county of great diversity. With a population of nearly 430,000 and with much of the county designated as an Area of Outstanding Natural Beauty, Wiltshire is the perfect destination for a relaxing break at any time of the year. Visit the World Heritage Sites of Stonehenge and Avebury, admire the beauty of our gardens and country houses; walk the White Horse Trail to see our eight white horses carved into the hillsides; meander along the towpath of the Kennet and Avon Canal or take a leisurely wander through our market towns and pick up the real flavour of country life. To help you plan your break to this special part of England, find out more about the towns and villages of Wiltshire, the bustling town of Swindon and the cathedral city of Salisbury. When you’ve decided where you want to go, you can plan your journey using our Travel page and if you need more information you will find a list of Tourist Information Centres with contact details. A relatively sparsely populated county with grassy uplands and vast rolling plains, sleepy picture box villages like Castle Combe near Chippenham which has one several awards for being the prettiest village in England and Bradford-on Avon in the west close to Bath. Wiltshire is the gateway to the West Country but also meets Cotswold country in the northern part of the county. It is also surrounded by the extremely picturesque counties of Somerset, Dorset, Hampshire, Gloucestershire, Oxfordshire and Berkshire. Much of the county is agricultural and a very large part is devoted to pasture land. Salisbury, the county town, is particularly beautiful and dominated by its Cathedral and spire. This is the tallest in England and rises majestically over the plain. Wiltshire is also the home of some historic attractions – Splendid Longleat in Warminster, Bowood, the magnificent family home of the Marquis and Marchioness of Lansdowne, Corsham Court, Wilton House, Stourhead and there can be no monument in Britain more steeped in legend and mystery than Stonehenge.